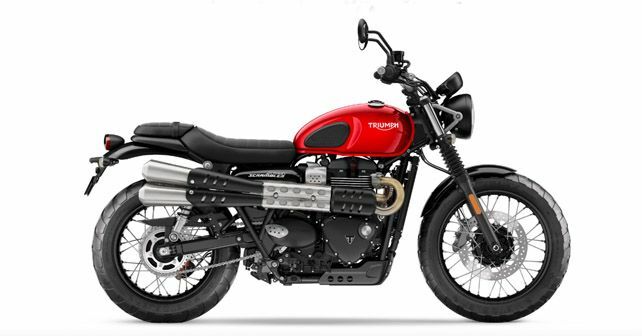 Triumph introduces the 2019 Street Twin and Street Scrambler in India. The new motorcycles come with a re-tuned version of the same 900cc parallel-twin that now develops 9bhp more, which means the total power output now stands at 64bhp. Peak torque is unchanged at 80Nm. According to Triumph, the horsepower gain is achieved by making extensive use of light-weight materials like magnesium for the engine covers and using lighter clutch casing, crankshaft and balancer shafts. The engine is paired with a six-speed gearbox that also gets a slipper clutch. The Street Twin and Street Scrambler now also get two riding modes as standard – Road and Rain – in addition to switchable traction control and ABS. The braking system has also been upgraded in both models. The front wheel now features bigger Brembo four-piston units. The 2019 Street Twin also gets a smaller 220mm rear disc instead of the earlier 255mm setup. Additionally, the bikes get a new instrument cluster and tyre pressure monitoring system. The Street Twin tips the scale at 198 kilogrammes and the Street Scrambler weighs 203 kilogrammes. The Street Scrambler will be offered in three colours: Khaki Green, Cranberry red and Fusion White. 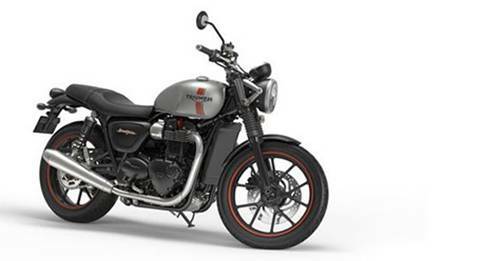 And the Street Twin will be offered in Jet Black, Matte Ironstone and Korosi Red. Additionally, Triumph has also introduced a two-year extended warranty programme, which provides global coverage for unlimited kilometres to their customers.